New in new packaging. Originally released: 2013. Ships same day or next business day. Tracking number with every order. Satisfaction guaranteed or your money back. New in new packaging. Originally released: 2013. Factory-sealed. excellent condition. 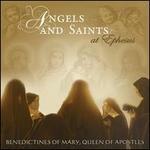 Benedictines of Mary, Queen of Apostles; Charles Villiers Stanford; Christmas Traditional; Ephraim the Syrian;... New.